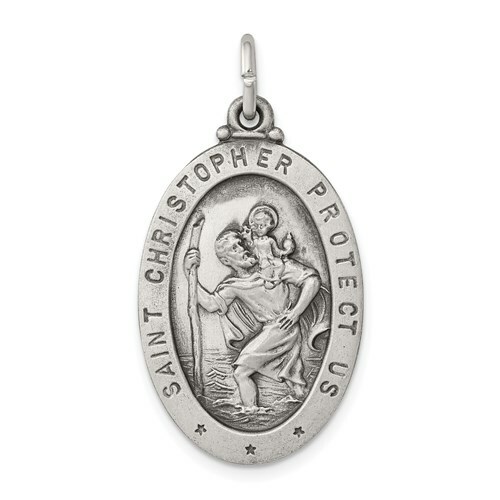 This die struck oval St. Christopher Medal is made of antiqued sterling silver with a handsome satin finish. Measures 1 inch tall by 5/8 inch wide without bail. Weight: 3.25 grams. Chain not included. Made in the USA. I was a little disappointed as the back of the medal is already starting to tarnish and my husband has only wore it about 4 times.